Watches. It was at the age of nine, that I was first introduced to the punctual world of Phileas Fogg. If you know your Jules Verne, you might recognise the name Fogg as the protagonist of the novel, Around The World In Ninety Days. Very briefly, it is a story about an eccentric Englishman of the 19th century, known for his punctual habits, who places a wager on his being able to travel around the world 90 days using the means available at his time. He wins the wager, and in an addition becomes husband to an Indian widow he finds along the way. That intro anecdote brings us to our featured company this week that accepts bitcoin and that is Real Watches. Real Watches is a veteran of watch sales having been in the business for more than 20 years. They sell both men’s and women’s watches. 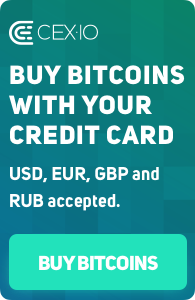 After successfully doing retail, they decided to launch an ecommerce site, which accepts bitcoin as one of the methods of payment. Real Watches is a partnership of two experts in their fields. The first is an expert in the horologic industry, Vadim Shersher, a renowned watchmaker in the state of Florida. The second partner is Arkadiy Pogrebetsky, who on the RealWatches.com website is described as a successful entrepreneur and pioneer in the online retail watch market. With their combined expertise, they have been able to expand their reach to include a global customer base. Some of the brands that they stock include Tag Heuer, Maurice Lacroix, Jacques Lemans, Michael Kors, Invicta, Casio and many more. In addition to watches, the company has introduced a range of sunglasses to complement its range of watches. Two of the major brands whose sunglasses they stock include Tag Heuer and Carrerra. For the style conscious shopper RealWatches.com, offers real value for bitcoin. While their bitcoin sales are restricted to shoppers in the US for now, the company plans to include its international audience in due course. With the range of watches featured, and the acceptance of Bitcoin, RealWatches.com provides a great opportunity for bitcoin users, and contributes to the spread of bitcoin use around the world. In our view, with the range of quality timepieces, we believe that were Phileas Fogg real, he would approve of RealWatches.com.